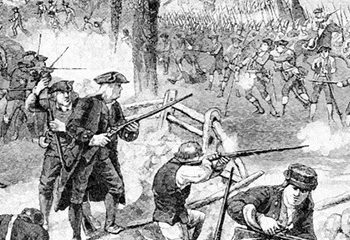 I’m sure everyone remembers the story behind “a shot heard round the world.” It happened in Concord, MA and was the first official engagement between British and Colonial forces. At the time, no one would have ever imagined this skirmish would forever be remembered as the beginning of the American Revolutionary War. In retrospect, that engagement also led to the creation of the greatest industrial powerhouse the world has ever known-the United States of America. My prediction is the recent New Hampshire Site Evaluation Committee decision to kill the Northern Pass project (ironically delivered in Concord, NH), will be the “Second Shot Heard Round the World” and will eventually lead to the demise of whatever industry we have left in New England. What justification do I have to make such a bold prediction? Over the past five years, I’ve sat around the table with dozens of manufacturing sector leaders from Sturm-Ruger, Sig Sauer, Lindt Chocolate, Holden Engineering, and dozens more. Their message has been consistently loud and clear. Electric rates in New Hampshire have to come down or they, not will, but they MUST move to a state with lower rates. Their reasoning is sound. After factoring the price of electricity into their final product, they simply can’t compete with their competitors who often times only pay half the cost for their electricity. Also factor in that these New Hampshire companies receive weekly solicitations from southern economic development agencies offering them property tax forgiveness, free land, and sometimes free buildings, if they simply decide to move to their state. When you look at what’s happening in “don’t build it here” New Hampshire and compare it to the sweet deals being offered in in other states, you have the perfect recipe for a disastrous industrial mass exodus. What is most disturbing about the recent SEC decision was during our roundtable meetings, New Hampshire industrial leaders often stressed that they would watch the Northern Pass project as a sign the region was serious about doing something to lower the cost of electricity. If Northern Pass failed, then they would, at best, stop all consideration of future growth, and, at worse, they would relocate to another part of the country. Opponents of Northern Pass point to its destruction of our scenic beauty and vacation ambiance. Even though concessions made by Northern Pass throughout project review mitigated these claims, the bottom line is before you can enjoy scenic beauty and rural vistas you need to put food on your table and cloths on your family’s back. With manufacturing employing more than 75,000 people in the Granite State-and double that many people employed by companies that provide support services to the manufacturing sector-what happens when that manufacturer shutters their plant? When a major plant closes in my City, what do I tell those families whose lives are ruined by such a short-sighted SEC decision? Well one thing’s for sure. As we attempt to recover from what would be nothing less than a catastrophe, I’ll make sure to give them the names and contact numbers of the seven-member SEC that made the decision that led to those closures. Maybe those seven members can answer my constituents’ questions better than me. I’ll also refer them to those editorial writers who believed it was more important to preserve vistas than feed families, educate children, and feel the pride of earning wages from putting in an honest day’s work! Once again, I’ll let them explain it to those families in their own words.